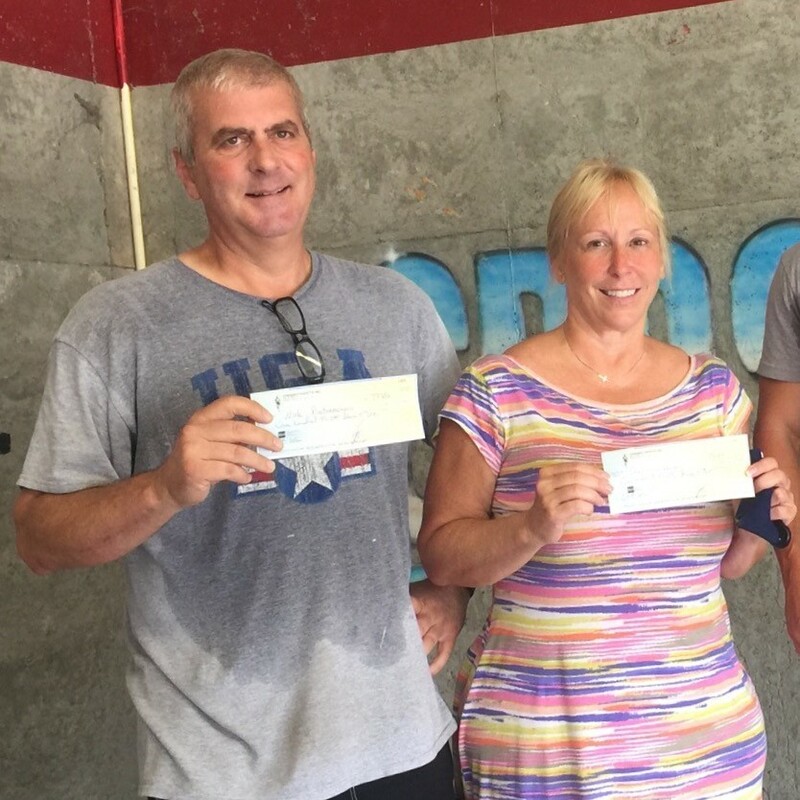 Congratulations to the winners: Team - Patti & Mike Mowrey - 5.5 lbs per week (27.5 lbs total lost in 5 weeks)! 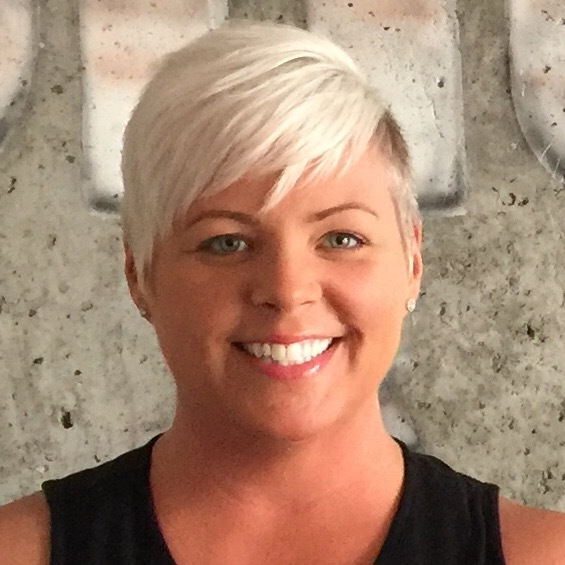 Top Female - Sherry Wilkinson - 2.3 lbs per week (11.5 lbs total lost in 5 weeks)! Top Male - Nick Pietromonaco - 4.8 lbs per week (24 lbs lost in 5 weeks)! 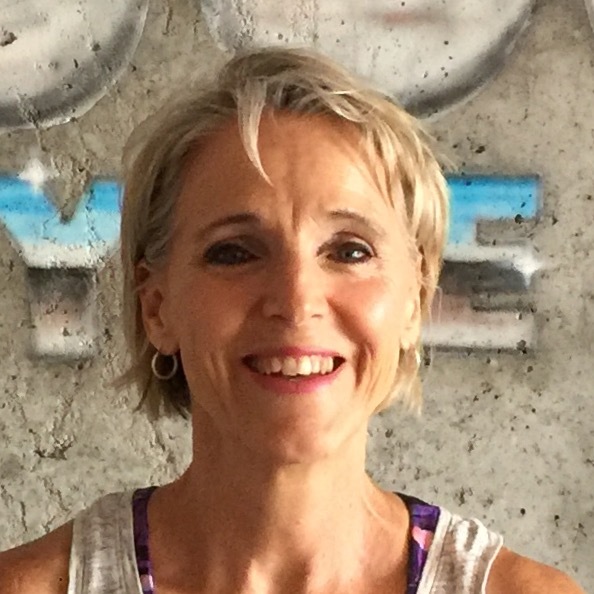 Honorable mention goes to Stefanie Warren - 2.1 lbs per week (11.5 lbs total lost in 5 weeks)! I lost 13 lbs or 2.6 lbs per week during the challenge. I'd also, like to mention Jeff Wilder, although not in the weight loss challenge, utilized the same weight loss plan and chose FNF for his nutrition component and has lost 5.9 lbs per week (29.5 lbs total lost in 5 weeks)! The participants that chose Fresh N Fit Cuisine for their nutrition component of the weight loss plan, lost three (3) times the weight of the other competitors! The weight loss plan of Nutrition, Exercise, and Life Style changes was designed to lose 2-3 pounds per week and that was proven successful. I'm so proud of the work and the results all who participated. This was such a success, everyone is asking when the next weight loss challenge is starting. 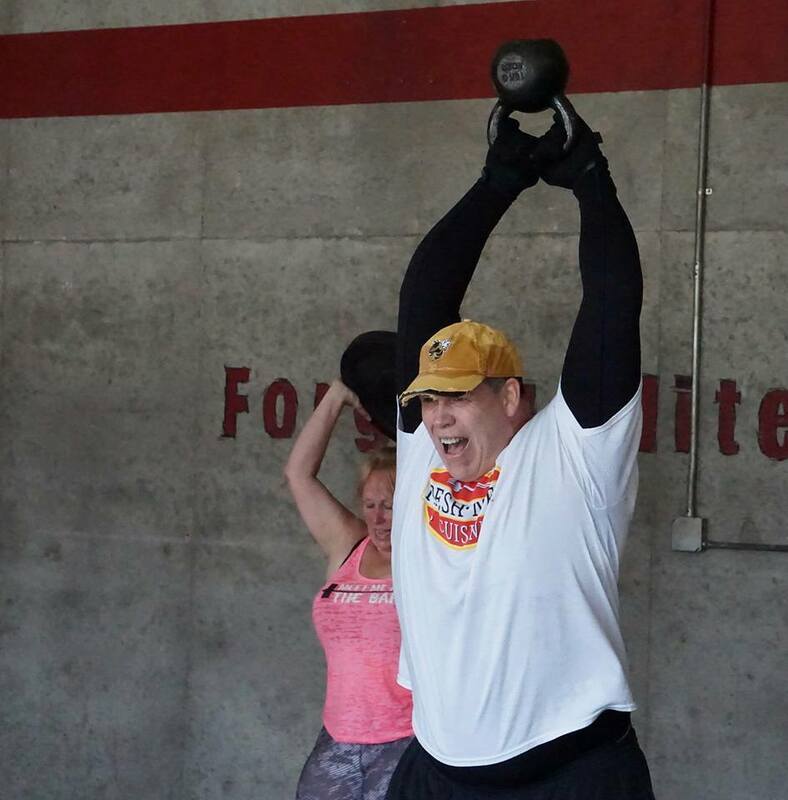 Patrick's FNF WOD is Photo Bombed! A special thank you to Fresh N Fit Cuisine for their participation in making the CFF Weight Loss Challenge successful. Great people, great food, great health - Fresh N Fit Cuisine. Thanks for following and remember to be better today than you were yesterday. God Bless. 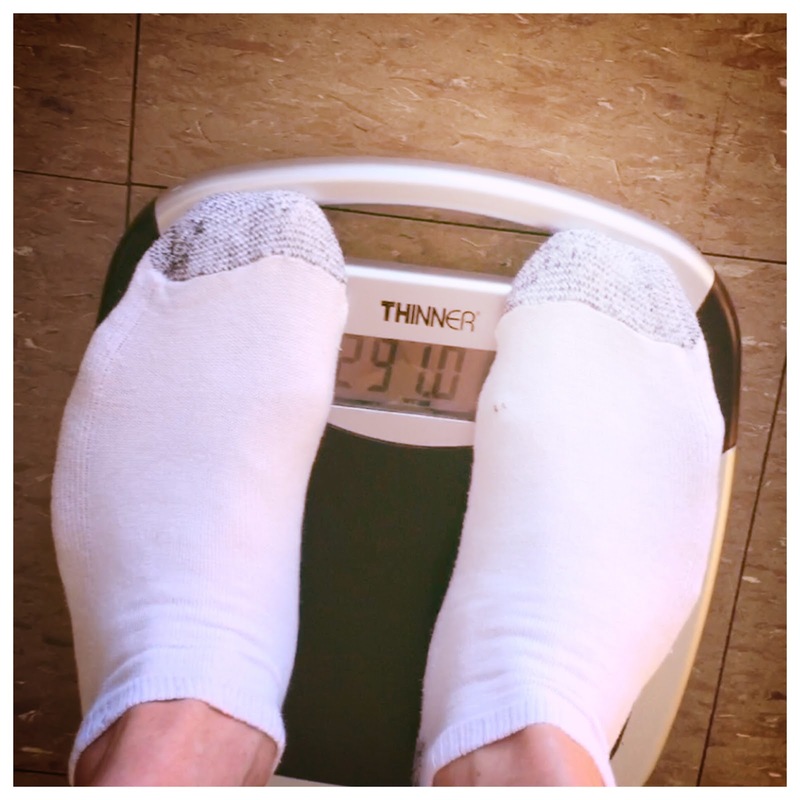 Day 129 Dropping 100 | It's Not Just Me! It's not just me having success getting fit with Fresh N Fit Cuisine. Several people at my work, the crossfit box where I workout, friends, neighbors, everyone wants to know what I'm doing. Let me introduce you to another person applying my weight loss plan. Meet my friend Jeff, he has lost 20.5 lbs in 19 days! Jeff is also utilizing Fresh N Fit Cuisine for the Nutrition component of the weight loss plan. 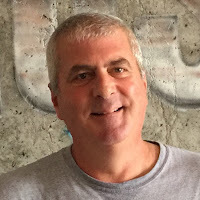 If you've been following my blog or Fresh N Fit's blog, then you know I've been eating Fresh N Fit Cuisine meals since March 7, as the Nutrition component of my weight loss plan of Nutrition, Exercise, and Life Style changes. Everyone's body is different, and I've been experimenting with the different meal plans on my journey to see how my body responds. I started with the Healthy Mix Plan and lost 40 lbs in 30 days. 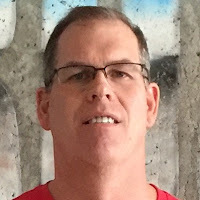 I switched to the Low Carb Plan for the next, almost 60 days where I lost another 37 lbs. I changed again, this time to the Paleo Plan, but only lost 9 lbs in the next 30 days. All the meal plans taste great, but I hit a plateau regarding the weight loss, so I'm back on the Healthy Mix plan and proud to report, just half way through July, I'm down another 4 lbs for a grand total of 90 lbs lost in just over four months (377.8 to 287). I'm just 10 pounds away from my first goal - Losing 100, Yes, the weight is harder to lose, but its still coming off. I plan to lose 10 pounds each month for the rest of the year, in lieu of the frantic 20 lbs per month pace I've been on. 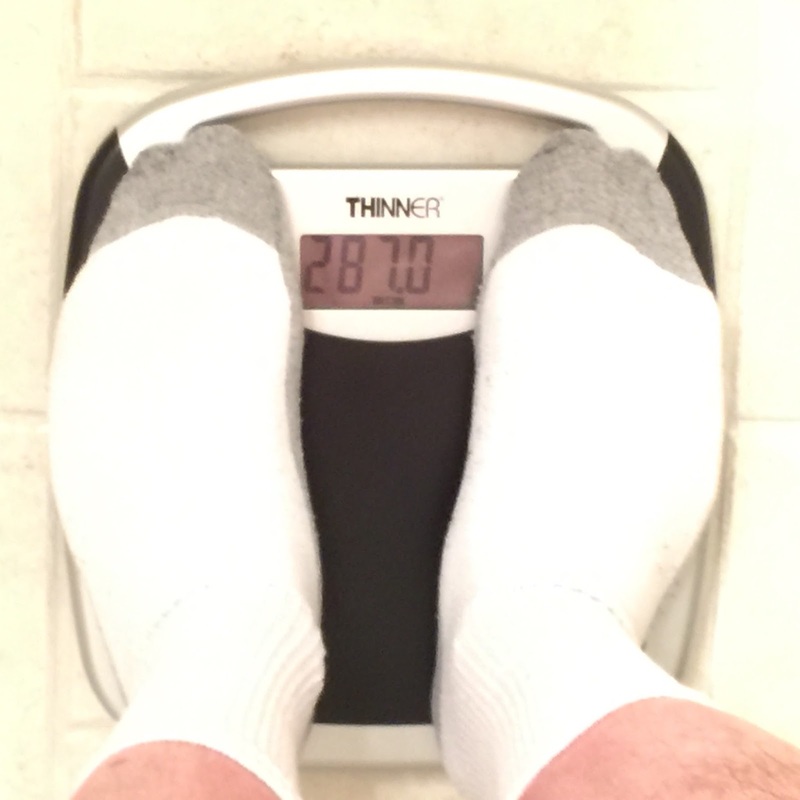 My end goal weight is 227.8 lbs. and by losing about 10 lbs per month until the end of 2016, I'll hit my end goal weight, dropping 150 lbs in the process in just under ten months! I had some great help this week weighing in participants in the CFF Weight Loss Challenge from 5 year old Olivia. Thanks Olivia. Now, let me update you on a few participants in the CFF Weight Loss Challenge. Sherry, Stefanie, Nick, and Steve, are all doing great with Fresh N Fit as their Nutrition component of the weight loss plan. Thanks for following and remember to be better today than you were yesterday. 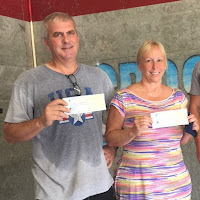 I'm honored to have been asked to host a weight loss challenge at my box (CrossFit Fayette) and implement my weight loss plan of Nutrition, Exercise, and Life Style changes. I'd like to introduce you to Sherry, Stefanie, Steve, and Nick. They are just a few of the participants in the five (5) week weight loss challenge. These four have chosen to join me in utilizing Fresh N Fit Cuisine as their Nutrition component of the program, and together, we'll follow their progress. They are all off to a great start. As for me, I lost another 4 pounds, which was short of my 10 lb goal for June. Losing 9 pounds this month, brings my total weight loss to 86.8 pounds in just under four (4) months. (377.8 to 291) My goal is to lose 10 pounds per month until the end of the year, which will result in a total weight loss of 150 pounds. Thanks for your support and encouragement, and remember to be better today, than you were yesterday. God Bless. "A joyful life of grace toward others grows best in the soil of gratitude" ~ author unknown. I wrote this down from some where I read or someone I heard. I can't remember. This is not mine, but is beautiful regardless of who shares it with you. There is a lot of hate out in the world, evidence of the tragic events that happen in Orlando this past week. My heart goes out to the families and friends who lost someone. My prayers and thoughts are with you. The life style change component is very crucial to glue the nutrition and exercise components of my weight loss plan together. An act of kindness is a key focus we all should have, not only to give of yourself to others, expecting nothing in return, but to promote kindness in the world. It is our job to make this a better place the short while we are on this earth. A great football coach and friend once said, "You are never more noble than when you conduct an act of kindness" ~ Bill Curry. So let's be noble. Here is my effort from a recent workout: CrossFit Open WOD 11.3, which is a 5:00 AMRAP of 165# Squat Cleans and Jerk. Each of the two movements are scored individually as reps. My score was 30. Give this a try and see how many you get. Oh, and I haven't been ale to fit in that weight belt for 3+ years! It was such a victory just to be able to wear it again. I still have a long way to go. Enjoy. 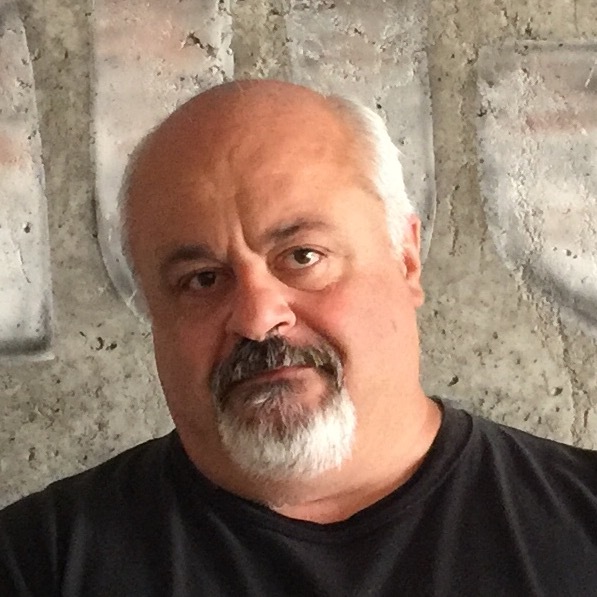 I am very grateful for you following me, supporting me, and inspiring me along this weight loss journey, this fight to gain my health back, this road to fitness. So thank you and remember to be kind and help make our world a better place. God is good to us and he his all around us and in our world, so seek His goodness and may He be with you and all those who lost someone this past week due to the tragedies in Florida. Remember to be better today than you were yesterday. 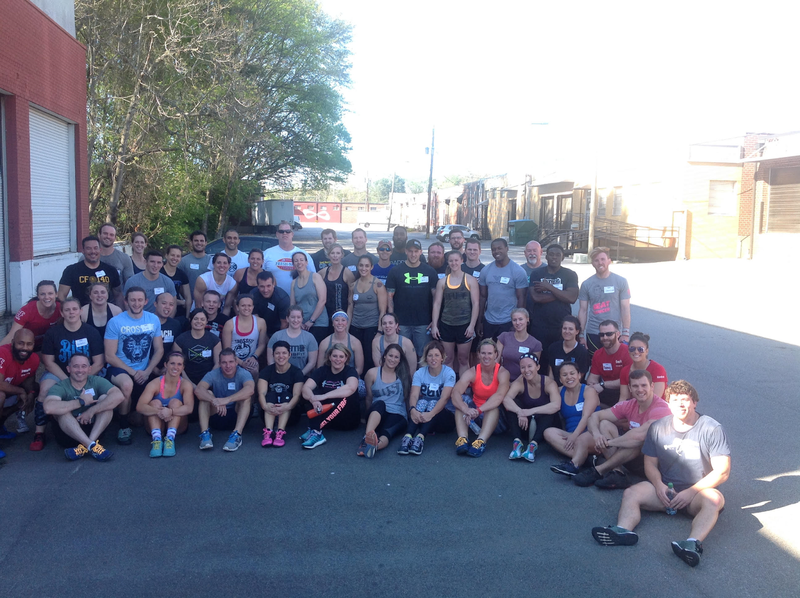 Today 45 of my friends and I at CrossFit Fayette celebrated Memorial Day morning with a hero WOD, known in the CrossFit community simply as "MURPH". This is a grueling WOD of about an hour consisting of a 1 mile run, then 100 pull-ups, 200 push-ups, and 300 air squats, and is topped off with another 1 mile run. Here is a group picture of most of the participants. What a great turn out at 9 am today. Again, thank you to all the military for my freedom. And thank you for following, and remember to be better today than you were yesterday. May God bless us all. The first stage of my PJ Dropping 100 journey is complete, which was a weight loss challenge I participated in at my work. The results of the challenge have not yet been posted, but I feel good about the performance of my three person team. Regardless of the outcome, my team are all winners for their performances. 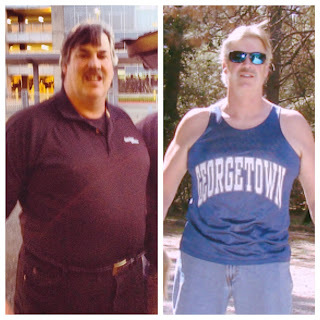 My weight loss plan of Nutrition, Exercise, and Life Style Changes, continues to prove successful. Check out this video to see my latest progress. Thanks for watching and remember to be better today than you were yesterday! I want to say thank you to all our veterans for the freedom we all enjoy. Many take freedom for granted and don't appreciate or understand the sacrifices made by our veterans so we all can enjoy things like a simple walk during our lunch hour. So, as Memorial Day approaches, I encourage you to personally thank every veteran for your freedom, young or old, that you come in contact with on Monday, May 30th. The first stage of #PJDROPPING100 will be completed on Day 77, which is the final weigh in day for a team weight loss challenge my employer has implemented as part of a wellness program. On any weight loss journey, finding time to exercise can be a challenge. I wanted to finish this stage of my journey strong, so I started walking during my lunch hour. So if the weather is nice, I encourage you to get outside and enjoy the freedom our veterans have provided. Thank you for following and supporting me on my journey. And if you are a veteran, thank you for my freedom. Remember to be better today than you were yesterday. It's always good to look back at memories that make you feel on top of the world. What makes you feel on top of the world? Maybe it was a big victory over your state rival where you carried your coach on your shoulders after the game, like I did 30 years ago. Maybe it's training the son of the former heavy weight boxing champion of the world! Maybe it was enjoying an incredible meal, like I did this week for lunch! My on top of the world meal this week is Fresh N Fit's "Shrimp Scampi" from their Low Carb meal plan....Who knew getting fit tasted so good? I did! 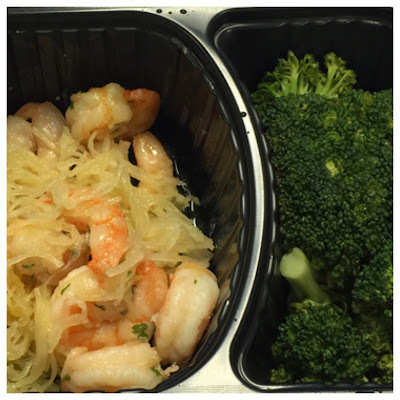 Shrimp Scampi Made with Garlic, Olive Oil, Lemon Juice and Parsley Served over Roasted Spaghetti Squash. Fresh Steamed Broccoli on the Side. One more weigh in until I hit the 12 week mark of my journey, which will be Friday May 27. Today was another successful day, as I continue with my weight loss plan of Nutrition, Exercise, and Life Style Changes. Check out this video to see the latest on my progress. I'm loving my high top Chuck Taylor II's. They make a great and stylish shoe to WOD in. Nothing like one arm alternating power snatches and box jump overs for like forever and a day! I'm decent at the one arm snatches, but I'm still too heavy to be jumping around. The impact on my joints would be damaging, so I scale by stepping up in lieu of jumping. Remember to scale the workout to your fitness level and just keep moving, and you'll get there. Enjoy. Okay, my favorite meal this week, is another breakfast meal, this time from Fresh N Fit's Low Carb Meal Plan. Check out this flavor explosion that helped me start my day of awesomeness! The morning sun shines on the breakfast for champions: Spinach and feta cheese egg mixture with chicken sausage patty: man that was good. I'm living proof that losing weight never tasted so good. I'm at 57 pounds lost in 52 days and I weigh in this Wednesday and I'm looking forward to dropping some more LB's and eating my Fresh N Fit Cuisine. Thanks for following and remember to be better today than you were yesterday! It's always good to add a little sport to your weight loss journey along the way. 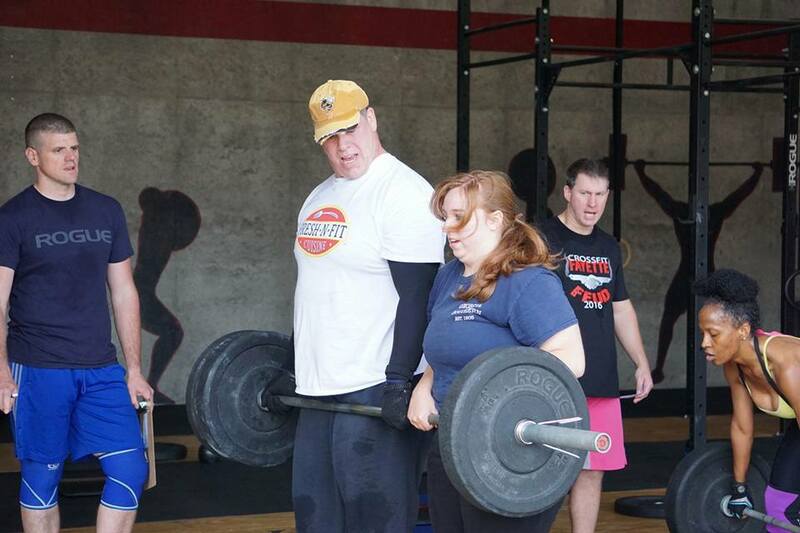 Last weekend I competed in a two-person team competition; The Fayette Feud, hosted by CrossFit Fayette. Teams could be any gender mix and there were two divisions, Rx and Scaled. I'm no where near an Rx athlete, so I competed in the scaled division, where my teammate Miss Austin Mowery carried our team to a second place finish! My first podium ever! I had so much fun. We did three WOD's; First there was "Death By Shuttle Run", then a "Chipper" consisting of Wall-balls, KB Swings, Sit-ups, and partner Dead Lift. The final WOD was "Double Fran". We took, 3rd, 3rd, and 1st! I surely felt Fresh N Fit! Here are a few pictures of the fun. Enjoy, and remember to be better today than you were yesterday. A reminder about this blog; it's my personal recommendations and ask that you check with your primary care physician before attempting any weight loss program or implementing any of what I'm doing. Thanks for following this blog, on Instagram (@pjcrossfit), or on Fresh N Fit's blog. Have a great day and remember to be better today than you were yesterday! 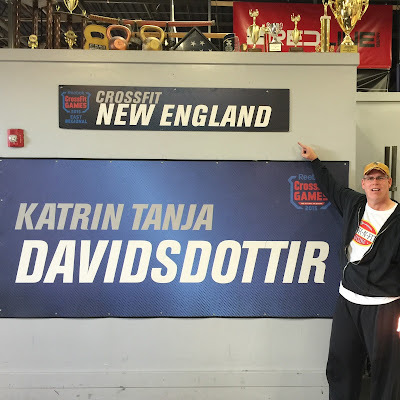 This week I spent a day n Boston, was fortunate to visit CrossFit New England, where some of the biggest names in the sport of fitness (CrossFit) have or are training, including the fittest woman in the world; Katrin Tanja Davidsdottir. If you have an I.O.U. mindset, that can be a good thing if you apply a D.C. point of view. #PJDROPPING100, www.FreshNFitCuisine.com, and www.CrossFitFayette.com are about more than just a journey, great food, and a place to exercise. It's not so much about what one can accomplish, but rather what one can give. Think about this: Your Integrity, Optimism, and Unity mixed with your Dedication and Compassion builds you and others on so many levels enriching all aspects of your life and those around you. I will do the right thing regardless of who might know it. I will live the life that others strive for. I will be a hero. Be a role model. I will take stands and do what others won't because it is right. I will be honest and open to myself and others. I will be loyal to my family, friends, coworkers, and teammates. I will put others first regardless of circumstance. I will give my comrades the benefit of the doubt. I will live a life of pride with humility. I will keep an open and positive mind. I will focus on what I can control and ignore what I cannot. I will recognize the silver lining in seemingly negative situations. I will expect adversity, and when it shows up I will overcome it. I will flex my gratitude muscles; reminding myself of the opportunities, pleasures and abundance in my life. I will work hard. I will commit everything I have to achieving my goals. I will succeed. I will never quit. I will constantly look for ways to grow and develop. I will pursue excellence in every facet of my life. I will not take the easy way out. I will go the extra mile, lead from the front and raise the standards and expectations of myself and those around me. I will be selfless. I will be respectful. I will be caring. I will recognize the strengths in others and treat them as they wish to be treated. front left throwing down with #PJDROPPING100 and 17 others at CFNE. The above "CREED" was an eye opener for me. It made me think of all the grace in my life. I offer a public apology and ask forgiveness to all in my circle of influence that have not experienced the above from me. I am far from perfect and am committed to the above CREED. Success is going from good to better, and from better to best. Strive for perfection and settle for excellence I like to say. I encourage you to implement the above into your life and remember to be better today than you were yesterday. I hope you are looking forward to a great week, I am. I woke up early this morning and EXERCISED (www.CrossFitFayette.com) before work. 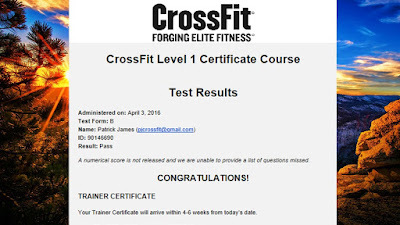 I taught a CrossFit class right after my WOD. It was awesome. After some mobility work I had a task oriented workout to complete a specific set of tasks as fast as possible / for time. My WOD today was 21-15-9 reps of two functional movements, executed at high intensity. The two movements were 275 lb Dead-lift and 24" Box Jump. The prescription was complete 21 reps of each, starting with the Dead-lift, then 21 Box Jumps, then 15 of both, then 9 of both. I scaled the box jump to step ups to match my current fitness ability, which allowed me to safely go fast and hard through the workout. My time was 9:54, which was perfect for me. Try it and see what your time is. I want to give a thank you to Fresh N Fit Cuisine's Mr. Steven Shaw, who accepted a throw down challenge with me in a few weeks at CrossFit Fayette. Mark your calendars, Tuesday, May 10 at 5:30pm @PJCROSSFIT Vs @SSHAW30. 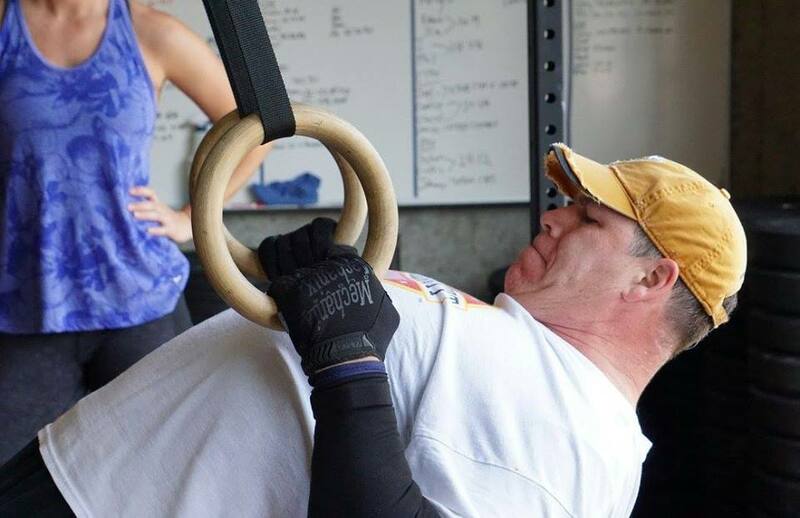 An exciting HERO WOD Challenge. Don't miss it. Come of down to the @PJCROSSFIT Vs. @SSHAW30 throwdown, we'll have samples to try. Samples of what you say, what is this amazing power food? 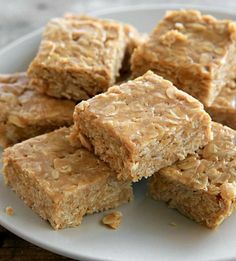 Well.....wait for it......Peanut Butter Bars! This is my meal of the week. This is one of my favorites, and I always look ahead on the calendar to see when it's coming again. I'm sure this is one of your favorites too. If you haven't tried these, you need to, so go get you some. You'll be glad you did. Peanut Butter, Oat and Walnut Breakfast Bar Made with Maple Syrup, Vanilla Extract, Rolled Oats and Sea Salt. Hard Boiled Egg on the Side. 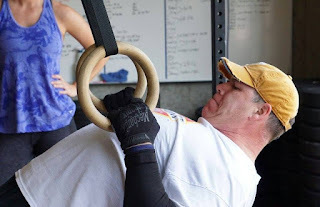 and CHEST TO BAR PULL-UPS (instead of pulling your chin over the bar, you pull further until anywhere below the collar bone of your chest touches the bar) starting with three (3) reps each, then increasing by three (3) each round, so 3, 6, 9, 12, etc. of each until seven (7) minutes is up. The load on the bar bell for the thrusters was 100 pounds. 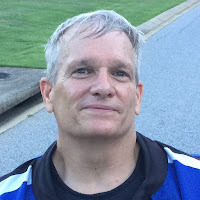 I was happy to have completed four (4) rounds (the round of 12 reps, so 60 total reps for me). I scaled the workout a little to match my current ability, so I did jumping chest to bar pull-ups and the 100 pound thrusters. That's what scaling is for, to keep you safe, so you can work smart and hard. The jumping chest to bar pull-ups were harder then I thought they would be, but they were fun! 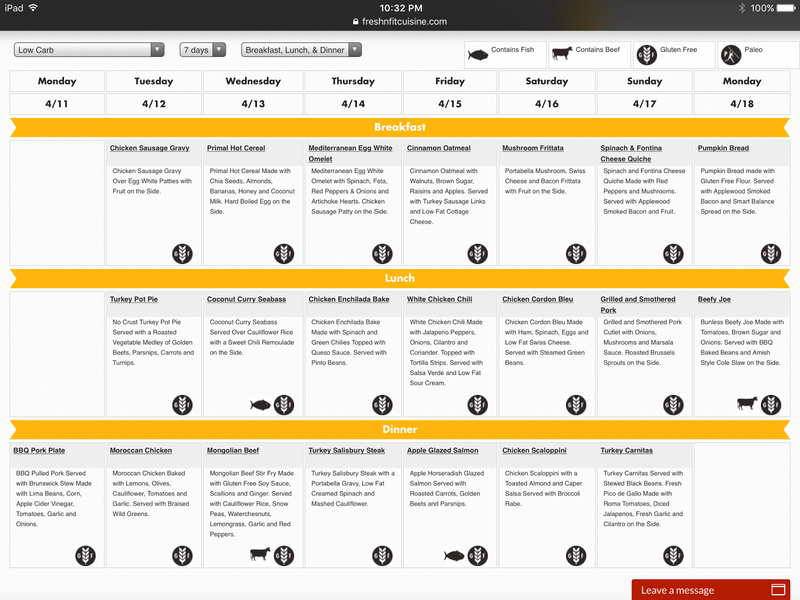 NUTRITION - Fresh N Fit's Low Carb 1800 calorie (Beast Mode) meal plan, plus 3 x 400 Calorie healthy snacks each day! EXERCISE - Walk 10K a Day, plus three @CrossFitFayette WOD's per week! LIFE STYLE - Drink 1/2 my body weight in ounces of H2O and read 10 minutes daily! My Favorite Meal Award for this week, goes to......Fresh N Fit Cuisine's White Chicken Chili lunch I had today from the LOW CARB 1800 calorie (Beast Mode) meal plan! It was awesome, and healthy. I still can't get over the fact that I'm losing weight on food that tastes so good. White Chicken Chili Made with Jalapeno Peppers, Onions, Cilantro and Coriander. Topped with Tortilla Strips. Served with Salsa Verde and Low Fat Sour Cream. Great job all of you out there doing something about your health. I'm proud of you. Stay focused and remember to be #betterthanyesterday! Don't let unexpected hurdles take you out. They may knock you down, but you can't let them take you out. 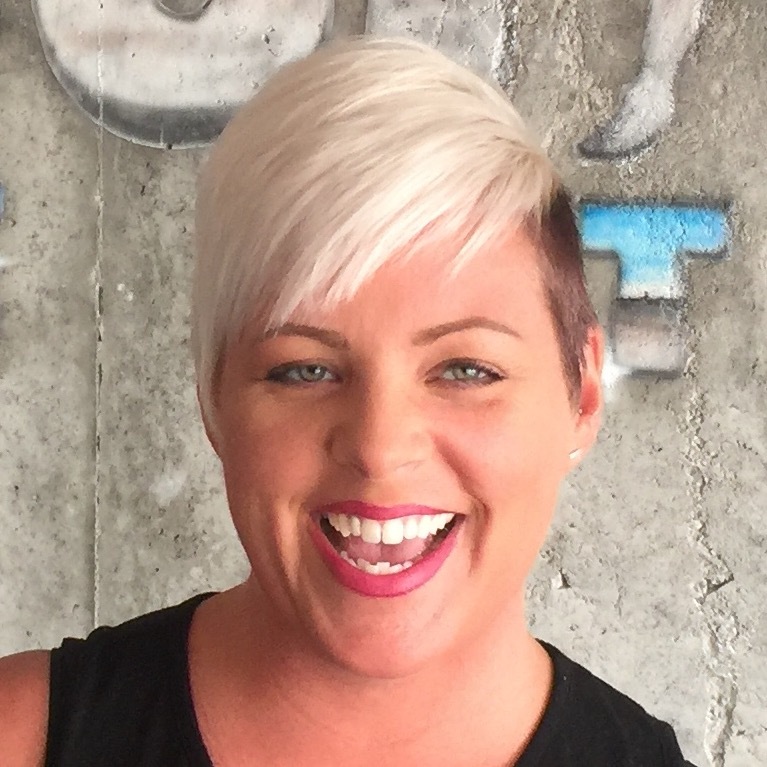 When you're on a weight loss journey many hurdles come your way. Even when you are focused on your nutrition, exercise, and life style changes, you can run into something you didn't plan for, like an attack on your immune system. I'm talking about a cold/ virus / bug - being sick. I don't recommend trying to forge on with your plan, as food maybe difficult to eat, exercise may make the illness worse or make recovery take longer, and depending on what life style changes you have going, it might be hard to do them as well. That said, I was under the weather the past several days. I'm not one who likes to take a bunch of medicine, so I take the rest route and let time heal me. It's been hard to eat all my meals, drink all my water, and do any exercising during this time. But, I'm not letting this keep my from my goals or lower my confidence. I'm feeling better and will ease back into my exercise plan Friday morning, and soon be full speed ahead. I'm already back on my nutrition plan, and finished my book "Concussion". I also,just rented the movie "Concussion" and although Will Smith was great, the book was better. Another hurdle some may face is travel. I travel for my work, and I'm about to be on the road, out with customers, lunches, dinners, etc..This is an expected hurdle and I have plans to attack. I have travel WOD's (workout of the day) already planned. Meals, unfortunately, I'm going to be that guy, that doesn't order off the menu and challenge all the little things restaurants add to meals that pile on calories you never knew were there. So, stay focused, reflect on your progress, make changes along the way, and take it easy if you're sick. This is a journey, not a sprint, only go as fast as your body will let you. Stay strong, focused, and remember to be better today than you were yesterday! Day 34 Dropping 100 | What Inspires You? 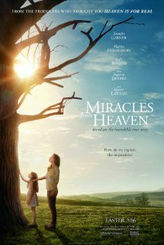 A great movie I saw this week was an incredible true story that made me think about all the grace in my life that I over look each day. If we stop and consider all the miracles that happen to each one of us every day, we might find inspiration and strength or be an inspiration to help over come hurdles life brings our way. Finding inspiration from others is a blessing. I'm so thankful and proud of my older brother Danny. He took charge of his declining health and just completed a two year journey that may inspire you. Danny went from 325 pounds down to 225 pounds! #DJDROPPED100 Way to go bro! Check out this before and after picture below. This is a guy I've looked up to for many years of my life, and to see him accomplish this, just warms my heart. So find inspiration wherever you can, sometimes it's right under your nose, and right in your own family. Danny is a guy, who is #betterthanyesterday. Had a great time this past weekend with Chuck Carswell - Flow Master for the CF-L1 Staff here in Atlanta. He was joined by a fantastic group of instructors that made the certificate course awesome. I brought my Fresh N Fit Cuisine for my lunch over this two day hands on CrossFit Training Course. I was joined by like minded health and fitness people striving for personal development in the knowledge and application of the sport of fitness! These were great people to be around and most were box owners, and future trainers, striving to improve themselves, so they can improve the lives of others. Everyone was, hey what smells so good. 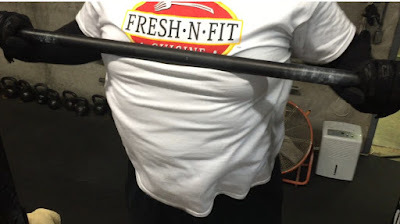 Oh, that's my Fresh N Fit! I had a chance to share with many cool people. I'm a blessed man. I'm so thankful and feel so blessed to have passed. Thank you all who encouraged me to do this and you know who you are. This is a big deal and I'm proud. Thank you Lord. Thanks for following, and remember to be better today than you were yesterday. This blog and the content of the posts are my personal recommendations and journal of my weight loss journey. Before you try what I'm doing, I only ask that you please check with your primary care physician before attempting any weight loss program, especially the steps I've been taking. Thanks for following this blog and following me on Instagram too @pjcrossfit Have a great day and remember; be better today than you were yesterday! I close in on my first 30 days of #pjdropping100 next week. Fresh N Fit Cuisine's got my back! NUTRITION PLAN - Fresh N Fit Cuisine Healthy Mix 1800 Calorie (Beast Mode) Meal Plan, plus 3 x 400 Calorie healthy snacks each day! 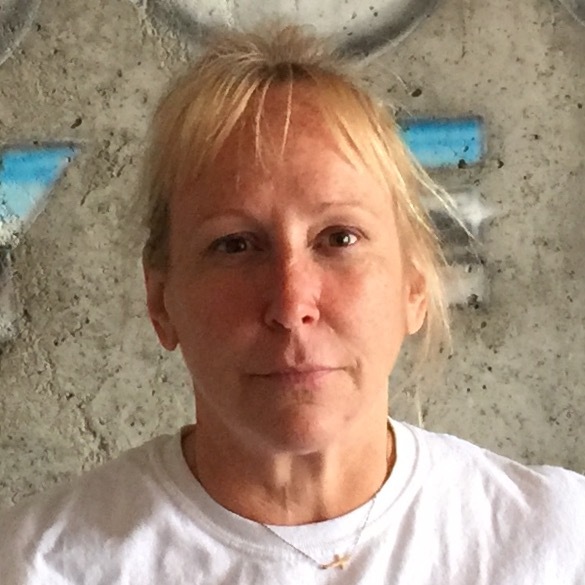 EXERCISE PLAN - Walk 10K a Day, plus three @CrossFitFayette WOD's per week! LIFE STYLE PLAN - Drink 1/2 my body weight in ounces of H2O and read 10 minutes daily! 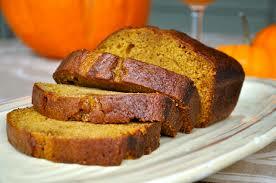 My Favorite Meal Award for this week, goes to......Fresh N Fit Cuisine's Pumpkin Bread breakfast I had Wednesday! It was awesome, and healthy. I still can't get over the fact that I'm losing weight on food that tastes so good. Homemade Pumpkin Spice Bread Made with Brown Sugar, Cinnamon, Nutmeg and Cloves. Served with Turkey Canadian Bacon and Hard Boiled Egg. Great job all of you out there doing something about your health. I proud of you. Stay focused and remember to be #betterthanyesterday! Okay, today was the third weigh in for #pjdropping100 and today's result was .8 of a pound loss! I know it's not much, but coming off Easter weekend and a busy work week so far, I actually thought I would gain weight this week. Especially because I didn't get my walk in last night due to working late :-(. The good news is just under a pound loss keeps the streak of consecutive weight loss going, which is encouraging. 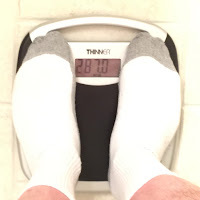 My total weight loss is 35.2 pounds in 23 days. I forgot to give a shout out to the great chef's @freshnfitcuisine last week, so I'll do it now. 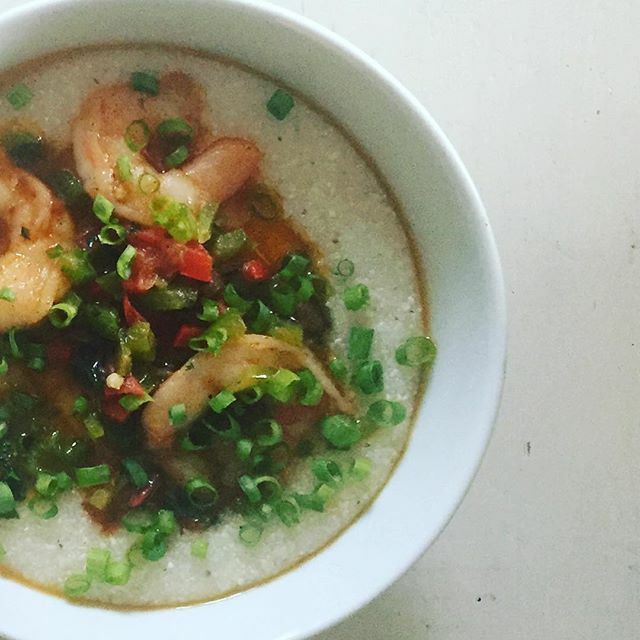 The shrimp and grits last Thursday for dinner was so good. Thank you for being awesome. Doesn't this look yummy? Well, it was! 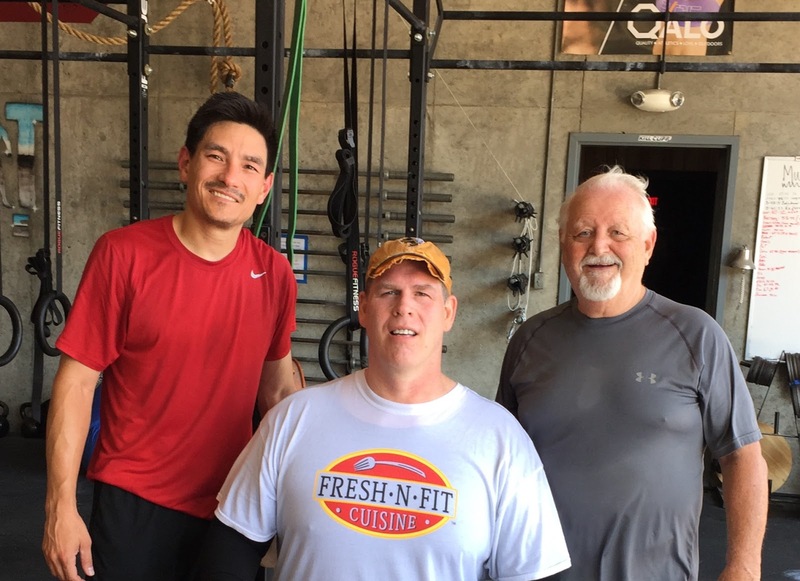 Since I've been fueling my success with #FreshNFitCuisine, I'm noticing a similarity to CrossFit. No, really, CrossFit is constantly varied high intensity movements, which is one of the core essential elements that make it great. CrossFit keeps mixing it up with great WOD's day after day. We'll The last 23 days of getting my Fresh N Fit on, has been the same awesome experience. They mix up the menu so you never really eat the same thing. It's great, I can wait to see what my next meal is. I remember the days where I ate the same thing every day for breakfast, and every other day for lunch...boring! Do you know anyone like that? I say, mix it up, and get your Healthy Mix on at https://www.freshnfitcuisine.com/ :-) You'll be glad you did. Be like these guys: Don't put anything in your mouth that's not Fresh N Fit, Don't even look at other food, and don't listen to people tempting you to cheat. Stay focused NUTRITION-EXERCISE-LIFE STYLE CHANGES. As we say in yellow jacket county #WeCanDoThat #IAmDoingThat. Remember to be #betterthanyesterday.